During her trip to Qatar, First Lady Michelle Obama challenged more women to reach their “full potential” of getting jobs, instead of simply getting married and staying at home with the children. 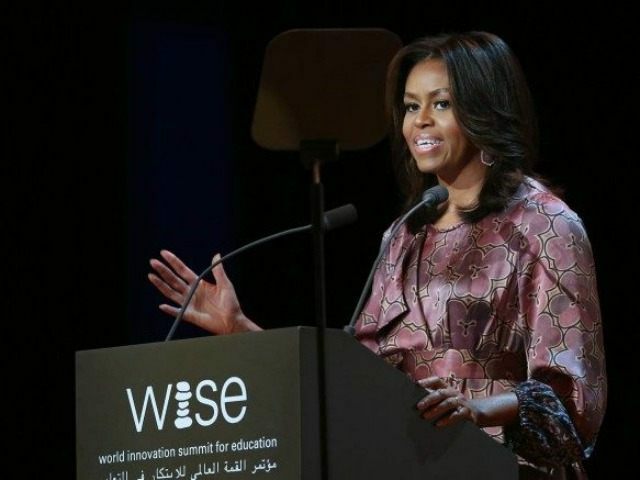 The First Lady made her remarks during the World Innovation Summit on Education, insisting that even the United States was still falling short in getting more women into the workforce. She praised modern men for challenging the notion that women should remain at home while the men go to work. The First Lady’s speech reflects the strongest push to date for not only education for women, but a cultural transformation that challenged more women to go to work outside the home. She referred to the outdated notions that she struggled with in her own life that tried to hold her back from attending and graduating from prestigious Princeton University. Speaking to reporters before the trip, Tina Tchen, Mrs. Obama’s chief of staff, emphasized that Obama would spend more time talking about breaking down cultural values that prevented women from getting jobs. “Raising awareness about this issue is a really key part of Let Girls Learn,” she explained. “We cannot build a modern workforce with outdated laws and attitudes that keep women from entering and thriving in our workplaces,” she said.